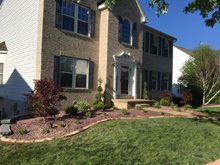 Pittsburgh Landscaping Design and Installation Contracting Company. 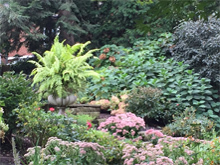 Landscaping Design Services For Pittsburgh Residents. Here at Palat Landscaping we have simplified the Landscaping Design process with the following 5 steps. 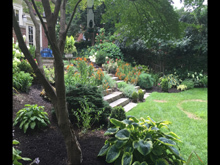 1- Sign up for a free landscaping consultation by filling out the below form or by calling 412-370-9070. 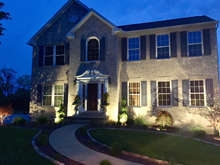 2- Together we will schedule an appointment where you will meet with our award winning landscape designer, Ron Kotcho. Ron has many years of landscape design experience and is a certified master gardener. He has an extensive knowledge of perennials, shrubs and trees. During this initial meeting, Ron will listen to your landscape ideas and concerns and make recommendations. Measurements and pictures will be taken at this time. 3- An initial quote will be prepared which will include all items and materials to install the proposed project. 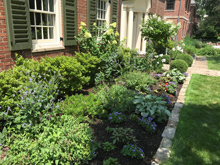 This quote will include all applicable items such as : plant removal, edging old beds, creating new beds, planting, pruning, soil preparation, landscape design, mulching, transplanting and labor. accepted, it will be scheduled for installation. 5-To ensure the smooth installation of your project, the designer will manage and oversee the installation to see that the plan is executed accurately according to the master design. Sign Up for a Free Landscaping Design Today. Copyright â°±1 by Palat Landscaping Company. All rights reserved.